Recently, with a number of others I had the opportunity recently to hold the Olympic torch for a short while which received the flame from the previous runner. She was one of 8000 who carried the flame from Greece to London. That was a privilege I was not expecting. Can you imagine there were 8ooo circular holes in the frame of that torch representing all who had carried the flame. After its use each torch bearer was permitted to purchase the torch they carried as a memento of this great event of the Olympics 2012 London. Each torch has a connecting point where a key is inserted to turn the gas on to receive the flame. That flame never goes out the entire journey of many thousands of miles. You and I, if we are Christians are torchbearers for Jesus Christ. We are not the Light of the world as John writes in the first chapter of his gospel but we are but light bearers. Each of us is ignited by Jesus Christ in the first place when we became Christians. Having been lit we are now lights to the world of The Light Jesus Christ, What a responsibility! What a privilege! When the Olympic torch finally entered the stadium in London a triumphant shout went up from the extremely large crowd of probably nearer 100 000 people which shattered the air. The moment had arrived for the main cauldron to be ignited to set that large flame going for about 3 weeks. When the Games are over that flame is put out. Just think, when we arrive at heavens door we still carry the light of Christ with us to be joined up with a crowd no one can number and that flame will never go out as we are promised eternal life with The Light of the World Jesus Christ at the very centre of our eternal worship and adoration. Meanwhile what a thrill it is here on earth where we are seeking to ignite others to become God's torch bearers. As we make contact with people the key we turn is called faith and where the power is released by God a person comes alive and is lit up, repents and believes. Another torch bearer is born and in turn carries The Light of the world to others. The important part is the flame. We proclaim Him Jesus Christ because we love Him and adore Him and long for everyone to know Him and join the great crowd spoken of in the book of Revelation such a number that is not countable by any human being. Where God has placed you, look to God in prayer to guide you to those whose names are already written in the Lambs book of life. This world will continue until that final day comes when that number is completed. We cannot hasten that day as it is already recorded in heaven a day already known to God. We are assured that special day will come when Jesus shall come and those in heaven and those on earth who know Jesus are joined as one. What a brilliant light that will be and such a wonderful privilege to be joined to. as we come to you today may we realise the wonder of our salvation and the privilege of being brought to the Light of the world Jesus Christ and of now being made light bearers to the world around us. Forgive us for our lack of desire to share our faith with others. Strengthen us in our resolve now to make up for that lost time and to become like the early church gossipers of the glorious gospel of Jesus Christ. If we are shy and regularly reserved persons we need added grace and if we are too loud help us to become balanced in the manner in which we share the most precious gift we have to give to others. Make us perceptive and alert to these matters where You would have us to serve and to lovingly speak for You Lord. You gave your life for us may we put the past behind us giving our lives to you afresh and forgetting mistakes made in the past shine brightly for You and encourage as many as we can to join and follow Jesus Christ our Saviour The Light of the world. Come spend a couple of minutes seeing why some people were thankful to God! Then be thankful yourself and share with us, by writing in the comments box below! Matthew 6:25-27; 31-34 “Therefore I tell you, do not worry about your life, what you will eat or drink; or about your body, what you will wear. Is not life more than food, and the body more than clothes? Look at the birds of the air; they do not sow or reap or store away in barns, and yet your heavenly Father feeds them. Are you not much more valuable than they? Can any one of you by worrying add a single hour to your life? ... So do not worry, saying, ‘What shall we eat?’ or ‘What shall we drink?’ or ‘What shall we wear?’ For the pagans run after all these things, and your heavenly Father knows that you need them. But seek first his kingdom and his righteousness, and all these things will be given to you as well. Therefore do not worry about tomorrow, for tomorrow will worry about itself. Each day has enough trouble of its own." It is a particularly helpful in the light of todays economic climate. If you lose your job, do not worry. Your father in heaven will take care of your needs. Please note , it is not our wants but our needs He promises to provide. So don’t think you can buy what you want and of course if possible you need to save when you are in work. Be wise, don’t use credit card and overdrafts as a normal way of living. And if you are, see if you can budget to pay them off as quickly as possible. We have to honour God in how we spend our money then He will honour us in Matthew 6.
Who is in first place? Last weekend I had a treat I wasn't expecting. My wife Joy took me out to celebrate 9 months of marriage. After a meal out she started to give small clues as to where I was being taken in her car. It was all mystery until we arrived at a cinema in Southampton and my suspicions were confirmed when we went into a Cinema studio to see Chariots of Fire .I first saw this film in 1984 and was thrilled to see it again because in my youth running was at the centre of my life until convicted that I was controlled by my sport which was allowed to take first place in my life and God came a low down second. So I was interested to see how Eric Liddell a Christian whose amazing athletic career had taken him to the top flight among athletes in Great Britain was able to be a christian and keep running in its rightful place.. I was interested to know how he was able to remain strong in his convictions as a Christian and yet run for his country at a very high level in the 1924 Olympics on a Sunday. Eric Liddell was shocked to learn that the heats for his event the 100 metres were to be run on a Sunday and straight away he knew both his conscience and God's Word would not allow him to break the Sabbath. He began to train for another even although chosen for the 100 metres thus upsetting the United Kingdom Olympic Committee which including the Prince of Wales heir to the throne.. When interviewed and asked for a reason Eric was very firm in his convictions nothing would drag him away from his Sabbath worship to participate in sport on that same day. The actor portraying this role played his role well and it certainly came across to the people in the cinema that here was a man who was a wonderful example of what we all should do when it comes to standing up for our faith. We may not be selected to compete for GB at the Olympic Games but what if our faith was challenged perhaps at work or school, college or play or in retirement. Would we put Jesus first at all times? Eric was handed a note from the American team just before his new event the 400 metres , It was a text to be found in 1 Samuel. “He who honours me I will honour.” When it came to the race Eric won handsomely and broke the world record. God had surely honoured his decision to put God first. Only a year later Eric was on a ship to China to once again put God first as he went with his wife to serve God there. His athletic career was firmly in second place to his first desire to put God first at all times. Recently I saw a dvd and his three daughters, one not even born when Eric sent them off to relatives ion Canada when the Japanese invaded China and Eric was interned with many others. On the DVD, she was so proud of her dad. Remember he never saw her and she never saw him. He died of a tumour in an internment camp in China. The Chinese people still remember him today for his love and deep concern for the Chinese people. This man loved God with all his heart and was strong in his faith and as a result many lives in china were changed through his ministry. He never wavered. I know he was not turning down wealth as athletes did not get the money they receive today for winning or even competing in International events but fame and fortune would not have distracted this true man of faith. My life and your life need to speak for Jesus Christ and we need to stand up for Jesus and shine like powerful beacons in this world of sinful darkness. We are in enemy territory every day and are here to win others to Jesus Christ, If we hold firm to our convictions God will use us as we give ourselves 100 per cent for Jesus as Eric did. I wept during that film. I will not forget the film or the text . 'He that honour Me I will honour Him. “You shall have no other gods before Me” says the Lord in Exodus 19 and 20 Music art or sport can so rob us of eternal life and God His glory. Fight the fight of faith my friends. As the Olympics draw near please bless all the athletes and spectators and keep them safe from danger. We pray you will watch over spectators travelling from abroad and being in a strange country may they make friends easily. We pray for the Christian witness at the games and all who are participating in making Jesus Christ known at the various venues around London and beyond. May we be careful to place God first in our lives and take Eric Liddell as a fine example for us to emulate. the even more important answers ‘the Messiah’ (v 20) and ‘the Son of God’ (v 35). That Jesus calls himself ‘the Son of Man’ (v 22) is also important. 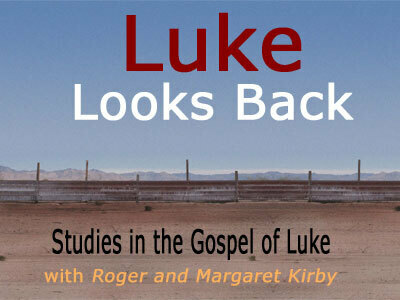 it ends the second and long section of Luke’s Gospel Chapters 3 to 9: 50. Telling us that Jesus sets out for Jerusalem in verse 51 indicates the end. This whole section is about Jesus’ Ministry in Galilee. Read verses 1 to 9. Jesus gives surprisingly detailed instructions about how the apostles were to go on the very first mission in the first 6 verses. Of course the culture in which they were to operate was very different from today’s – anywhere in the world. We might wonder if he sent us on mission what Jesus would forbid today. Would it be car, mobile phone, ipod, radio, credit card, bottle of spring water? Would we survive without these things? Question 1 - Under what circumstances should we ‘shake the dust off our feet’ as Jesus told his disciples to do if they were not welcomed? This is a tricky one to answer. Perhaps Paul did this in Philippi. It says ‘they went to Lydia’s house. Then they left.’ The locals could not be said to have welcomed him. It says ‘the crowd joined in the attack against Paul and Silas’. But there are stories in the history of the church where people have worked and ministered in a new area for a very long time before anyone has come to faith. When that has finally happened there has often been a real movement of the Spirit. It is hard to say the workers should not have waited. The next story is of the feeding of 5000 people. We read that in v 10 - 17. The account of the feeding of the 5000+ (v 10 – 17) is written so as to remind us of the last supper. It includes the words: taking bread – giving thanks – broke – gave to. Question 2 - What do the statements ‘Jesus said “you give them something to eat” ‘ and ‘the disciples picked up 12 basketfuls of broken pieces that were left over’ mean as comments on the Lord’s Supper? We meet at the table of our Lord to receive grace and renewal from him as we remember the most significant event in history. Yet we bring food to the table – we have a part to play in the ceremony. Such is the grace of God that we have much left over afterwards. For all the wonder of the simple ceremony we have a part to play. By the order Luke puts things in he suggests that in the eating of bread they recognized the Messiah. In the eating of bread on the way to Emmaus they recognized the Lord (24: 30, 31 which says: When he was at the table with them, he took bread, gave thanks, broke it and began to give it to them. Then their eyes were opened and they recognized him, and he disappeared from their sight. Question 3 - How does that thought, whether taken from this story of the feeding of the 5000 or the event on the Emmaus road, translate into our communion service? It is his ceremony, not ours. We are to see, beyond the bread and the cup that he is there and blesses us. Read verses 18 – 27. Herod asked ‘who is this’ earlier in the chapter. Peter answers here, as Jesus prayed and talked to his disciples in a way that was completely meaningful in that culture. Question 4 - Peter said that he was the Christ or the Messiah of God. What is the best and most accurate way to answer the question ‘who is this’ in your culture? The answer will depend on where you are. To many people to say he is the Christ is only to give him a name, so that is not very meaningful. The Son of God is one possibility, but that can be misunderstood in some cultures. The Saviour is another possibility. The title Jesus used of himself ‘Son of Man’ is difficult and puzzling, which is perhaps why Jesus used it. It meant no more than ‘a male human being’ but is used almost as a title in Dan 7: 13 of a person who seems to represent the people of God (Dan 7: 22, 27). Jesus may have used it as a clean sheet of paper on which he was able to write a meaning himself. The question ‘who is this’ receives a further answer in what we call the transfiguration, that is the event when the whole appearance of Jesus was radically changed. Read verses 28 – 36. Question 5 - We must try to think of what this would have meant to the 3 disciples who witnessed what happened. What will their first reaction have been to the presence of the 3 figures? What will the brightness of Jesus’ clothes have meant to them? And then what will they have thought when they heard the voice from heaven? There are really 3 questions there. Seeing the 3 figures they will have thought Jesus was of the same importance as Moses and Elijah. Then seeing how changed he was in appearance they will have decided he was the most important of the three. Finally the voice will have said to them that he was fundamentally different and important in a completely different way than Moses and Elijah, who represented the Law and the Prophets and therefore the whole of the OT and Judaism. The voice that told them to ‘listen to him’ also tells us ‘to listen to him’. 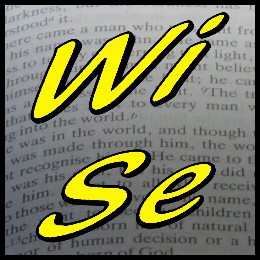 Finally we read verses 36 – 50. We will stop there and not at the end of the chapter because the next verse says ‘Jesus resolutely set out for Jerusalem’ and there are many statements that he was ‘on his way’ in the next 11 chapters. Luke has written a journey documentary in those chapters. This is the end of his ministry in Galilee, the northern province of that area, and the furthest from Jerusalem. These 2 episodes both remind us that the Christian way is not one of human strength and power. Not only are the disciples unable to heal the boy with the evil spirit and required to start acting in a more childlike and less assertive way but Jesus is going to be betrayed and killed as we read further back in the chapter. This has been well summarized in the phrase ‘the way up is down’. Question 6 - when we kneel before Jesus and confess our sins we say we are down. He will then lift us up. That is the Christian way. Have you set out on that way for yourself? Only yourself and the Lord know the answer to that question. I hope it is the right one! May the Lord be with you. let our hearts and minds be right before you. be shown in hearing these petitions! 3. 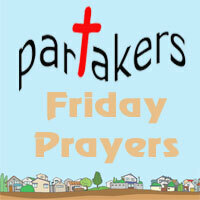 Time for your own prayers and intercessions. May it be that your love would take over our lives! My mum was extremely poor when she was older and could not afford to eat properly. Because of that for a long time I had a fear that I would be poor when I was old and not be able to afford to eat. Then one day I came across Isaiah 46:4 - “Even to your old age and grey hairs I am He, I am He who will sustain you. I have made you and I will carry you; I will sustain you and rescue you.” The verse went straight to my heart and gave me comfort and every time I start to get worried, I simply quote the verse and my peace comes back. What a wonderful promise, from whatever age you are now until you are old and grey God the Father, the most powerful being in the universe will look out for you. He will sustain you! He will nourish you, keep you going, support you, help and aid you. What more could we possibly need! This is just another way of saying He will carry us. goes for a drive and teaches us all a lesson! G'day! 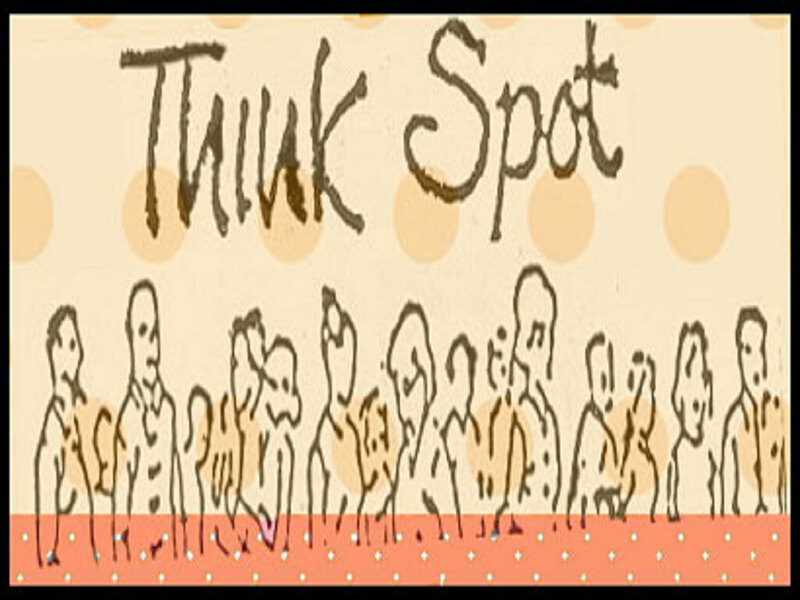 Welcome to Partakers Think Spot at the start of new week on Monday the 16th of July 2012. "Run hard to obtain the prize"
The Olympics are not very far away now, about three weeks, and there is a special air of excitement in Great Britain and especially where the Games are mostly to be held in London. Plans have been in place for years and it has taken years to build the varied venues and have everything in place before the Games start. Other special meetings pale into insignificance, the Olympic Crown tops the lot as far as achievement is concerned. To be on that rostrum with the gold medal around the neck is the highest pinnacle of success for the athlete , swimmer cyclist, boxer and competitors in all other events, so many of them and each one will draw thousands of spectators to witness this amazing spectacle. Paul, in the Bible, writes about such games in Greece where they started centuries ago and he has quite a knowledge of what goes on in the training schedules of the athlete and the diets each one needs and the strictness in keeping on practising even when the weather is icy, wet, hot, cold and windy. “All run in a race, but only one wins so run that you may obtain” 1 Corinthians 9:24ff;. So we as believers are all in a race but praise God Paul tells us in his letter to the Colossians 1 that Jesus has already gone over the finishing line and won the prize for us. He has qualified for us Hallelujah!!. Whether you are an athlete or armchair spectator at this years Olympics in the Christian race we are all competitors and it is not a sprint it is more like a marathon with all kinds of obstacles and we are daily in need of resources flowing to us from Heaven to strengthen and equip us for the conflict. Satan is on the prowl but as John Bunyon put it so beautifully in Pilgrims Progress if we keep to the centre pathway where God is directing us we will not be in the path of lions or other beasts Satan may have lined up against us. We are in a spiritual battle but If God be for us who can be against us. If God is our strength and shield we will arrive safely in Heaven. Its a dangerous journey at times but we were not promised an easy passage only a safe landing as Bishop J C Ryle told us in one of his helpful books. Be steadfast Paul reminds us elsewhere and treat your life seriously and wonderful blessings ensure us of a marvellous welcome home when we arrive at the end of our journey. “Well done thou good and faithful servant” That is what we are looking forward to hearing as we pass over the finishing line. As Paul said I have finished the race that is all that matters. Dont drop out ,dont lag behind , Keep in step with the Spirit , keep looking unto Jesus the author and finisher of our faith, that is the answer. We realise that we are on a journey towards eternity and so very thankful you have redirected us from the wide road that leads to destruction onto the narrow road that leads to eternal life and Heaven. We have heard today it is like a race as Paul describes in the Bible that all Christians are competing in but we are so thankful that the end is assured that we will reach the finishing line as we go not alone. Jesus by The Spirit of God is with us and helping us keep in step with Him. Forgive us when we have turned aside for one reason or another when temptations have gripped us. Help us daily to seek you to fill us anew with The Holy Spirit so we can be more than conquerors and win many battles against the evil one. Lord you give us all the resources necessary to compete and complete the journey. Thank you Lord for your deep love for us and your heavenly armour available to us as pray daily for it. Without You Lord we would fail but thank you for your amazing love for us and your strength which is almighty to save, keep and bring us safe to heaven. 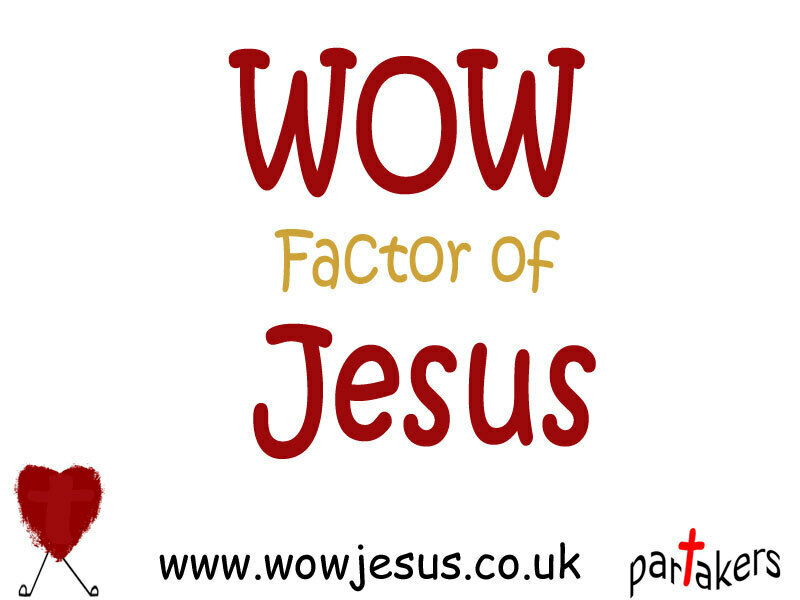 WOW Factor of Jesus Christ! Do you know Him? What experience have you ever had of what were clearly demonic powers? It is thought that the Joanna of 8: 3 and the Junia of Rom 16: 7 may be different versions of the name of the same person. (It should be Junia, a woman’s name; Junias is a man’s name and a mistranslation) If so, we may presume Joanna/Junia was an apostle because she fulfilled the requirements of Acts 1: 21, 22, even though being a woman meant she could not be one of the twelve. Luke is careful not to forget the women! Neither should we! We noted in the last study that one word in the Greek means both ‘faith’ and ‘faithfulness’. 1) How do we use these words? What is the difference in meaning in our common usage of them? 2) The central passage of these chapters is the familiar parable of the sower (8:1–8). Which meaning, faith or faithfulness, is it encouraging us to think of as the most important? A parable is designed to be about one most important point but while doing so usually teaches several other theological ideas. d) with the promise of hope. 4) This parable is usually called ‘The Parable of the Sower’. What else could it be called? What was Jesus really emphasising? What should the title be? 5) What are the present day meanings or examples of: taken by the devil / no root / choked by life / producing a crop? 6) Suppose some seed fell in a stream, floated away, landed, and grew where the farmer could not harvest them? What would the meaning of that be today? 7) Why are the secrets of the Kingdom of God so hard to understand (8: 10)? What did Jesus mean by talking about hearing as though that is difficult? 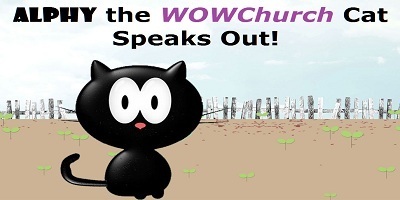 Did he really teach in parables so that people would not understand what he said (8: 10)? What did he mean by saying we have to be careful how we listen (8: 18)? See also 8: 21. 8) We cannot easily make ourselves have ‘noble and good hearts’ (8: 15). What – in very practical terms - does Jesus expect us to do in the light of this parable? The next two short stories highlight contrasting attitudes of acceptance and rejection to Jesus, as did the story of Simon the Pharisee and the unnamed woman (7: 36 – 50). Faith(fulness) is weak in those who should be strong (8: 22 – 25) and rejected in those who had the opportunity to have it (8: 34 – 37). 9) Over the centuries many believers must have prayed frantically when faced with death by drowning. Many will still have drowned. These did not drown(8: 24, 25). Why? 10)The people of Gerasa thought about what it would mean for them in money terms if Jesus was around and decided they would be better off without him (8: 36, 37). How very 21st century! What was Jesus’ response? What does that say to us? We noted the final dual healing of a woman and a man’s daughter (8 : 40 – 56) reflects that of a man and a woman’s son in the first two episodes in this section (7: 1 – 17). 11)What does this dual healing tell us about faith? How strong does faith have to be in order to be answered? How far is it true to say it is always answered? Or when is it not answered? 12)Why did Jesus tell the demon-possessed man to go and tell (8: 39) and Jairus and his wife to keep quiet (8: 56)?